Monthly Recap - Most Popular Posts of December 2017! Site Recaps & Roundups Monthly Recap Monthly Recap – Most Popular Posts of December 2017! Here is our 10 most viewed posts from the previous month. This only includes articles written and posted in the month of December. Any expired deals or promos will not be included either. 10. First on the list we take a look at how to get discounted Chick-fil-A in 2018! 9. 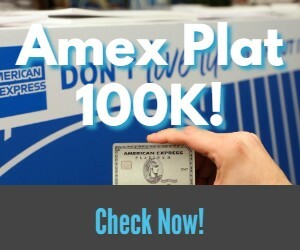 At #9 I discuss my wife’s experience with her Amex Delta Platinum card retention call. 8. I take a look at the best way to manufacture Hyatt status with their new rules going into effect in 2018. 7. Coming in at #7 is negative changes Total Rewards announce to the program for 2018. 6. I discuss the results of my wife’s latest application spree. 5. DDG breaks down how you can get a Sam’s club membership for free! 4. The Groupon Stockpile deal, which is still available on the Groupon site. Some have been having issues redeeming the offer though and gift cards are no longer an option. 3. Chase announces changes to their old Ink products…another blow to the Ink lineup. 2. The second most viewed post of the month was DDG discussing Chase Freedom’s 2018 5% calendar. The most viewed post of December was my latest application spree results, which were a bloodbath! Well that does it for December 2017. Let us know in the comments which article you liked the best…some good info in there! Happy New Year!!! Make it a great 2018!